Everyone can appreciate a beautiful father/Daughter relationship; it’s a special sight to see a Father truly care about and support his Daughter in her life ventures. There are instances of course when a Father chooses not to take advantage of being that supporter in her life and other times, like Timothy Douglas, a Father is unable to be to be more involved as a caring, supportive Daddy. With the 4th of July, America’s Independence Day, right around the corner, WC News thought this story to be extra special. For just shy of the last 2 years, Timothy Douglas, Father of gymnast Gabby Douglas, has been serving his tour in Afghanistan with the United States Air Force. Being so far away from his Daughter, Douglas was not able to be as physically present and supportive in his daughter’s life as he would have liked, however, through modern day technology he was able to encourage her and follow her gymnastics career with a strong and loyal heart. Routinely, staff sergeant Douglas would pull up YouTube videos of Gabby’s gymnastic routines and proudly share them with his squadron members while they attempted to evade the heat of the eastern sun. 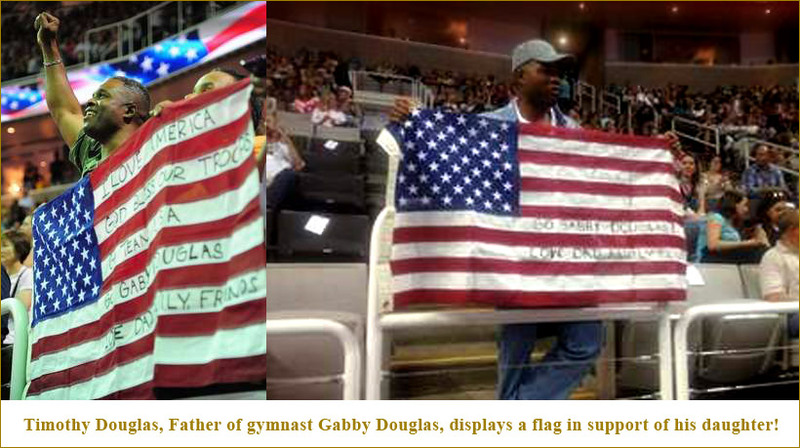 Last Friday, June 29, 2012, Gabby’s eager father was able to fly from Virginia to California and arrive at the HP Pavilion just in time to hurry down to the side railing of the auditorium and call out to his Daughter while she was warming up at the U.S. Olympic trials. When Gabby Douglas saw her Father, he was holding in his hands a large American flag that read “Go Gabby Douglas, Love, Dad.” With readiness in her soul, Gabby smiled from ear to ear while taking a long gaze at her Father’s eyes. 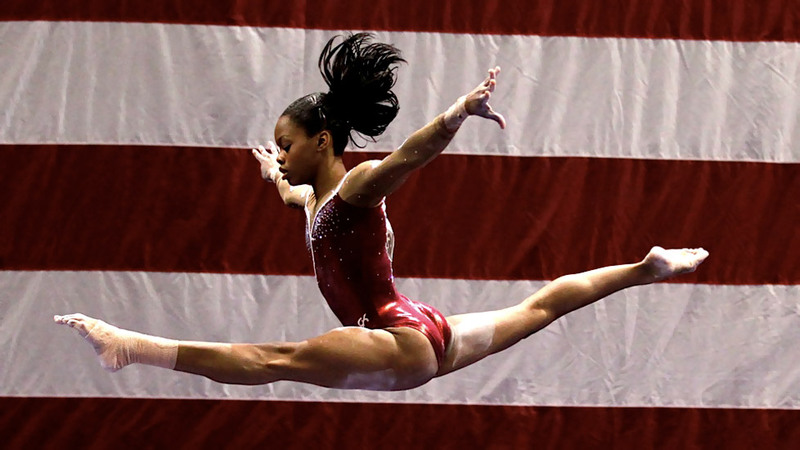 That day, both, Timothy and Gabby Douglas, Father and Daughter, represented their country proudly; with a score of 61.400, Gabby finished the preliminary round in second place and made the U.S. Olympic team! This touching and patriotic story brings a real feeling of accomplishment and love when people have a desire. A story like the one of the Douglas’ speaks loudly to what love and commitment will accomplish.